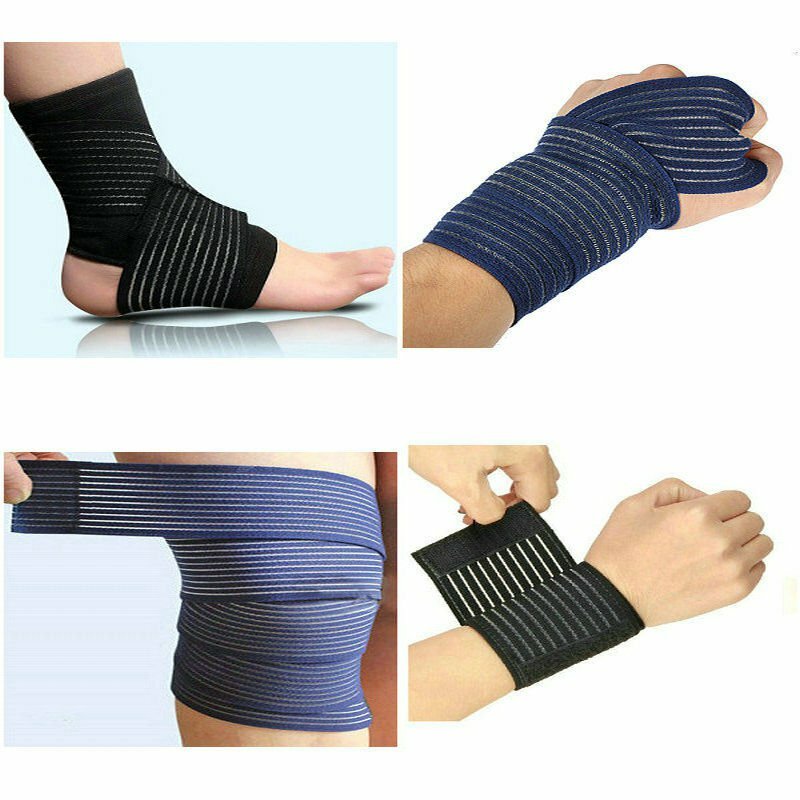 Multipurpose Elastic bandage for your arm, elbow, wrist ankle or leg. Elastic material provides comfortable proper compression and tension that you need. Suitable for all sports use for supporting joint and muscle. Aids recovery from body injury. Easy to wear, suitable for any sports. Washable and reusable, holds shape and size through repeated washes and use. Size: Length of bandage is 40 cm with a width of 7.5 cm. 1 Pair Brace bandage support.